The Tarot Essentiel uses abstract paintings of Andrea Wedell and came with a book in French titled La Legende du Tarot, which is written by Francoise Bitton. Most of the arcana are renamed, the number of the card is part of the image. 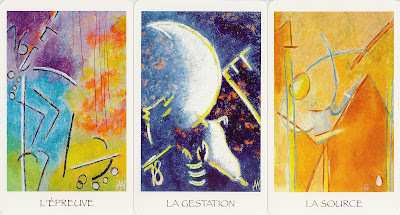 The cards are based on the Marseille Tarot but abstractly...so they are open to interpretation. The art is oil on canvas, 39 x 28 inches. 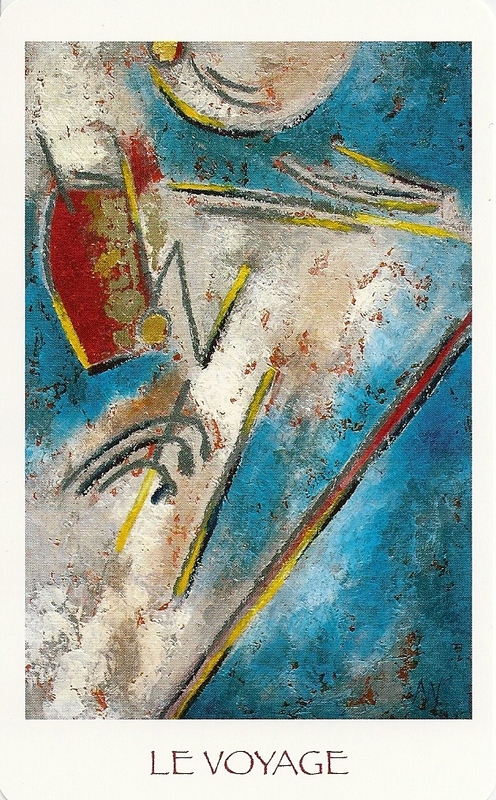 Wedells paintings were exhibited in Paris in March 2010. Thank you for sharing your decks, so many of them I'd never get to see otherwise.